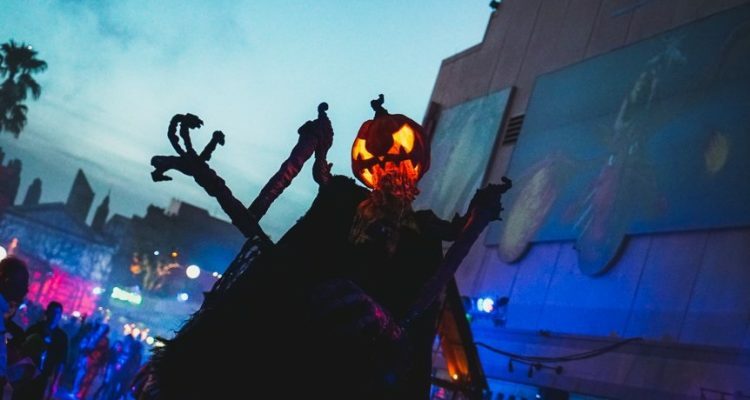 Universal Orlando’s website briefly listed dates for the 2019 edition of Halloween Horror Nights on Saturday, indicating the next event would start a weekend earlier. Multiple Twitter accounts posted screenshots of the HHN page showing specific dates for the event’s 29th edition: September 6 to November 2, 2019. 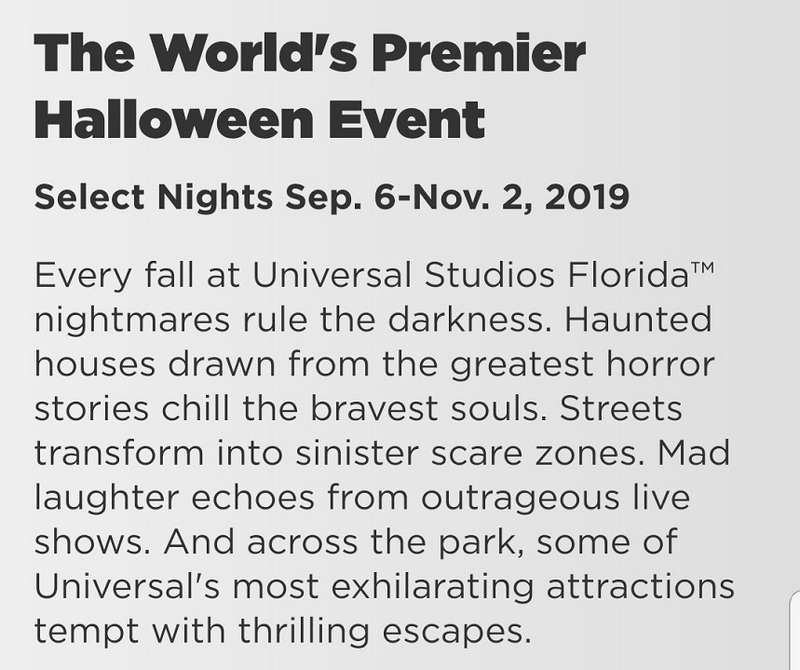 Within a few hours, the page was changed to read list only “select nights this fall.” Universal did not immediately respond to a request for comment on whether the dates were legitimate. The expanded schedule would not come as a surprise for HHN fans, considering how Universal has changed its event schedule. HHN has traditionally begun the weekend after the Rock the Universe Christian music festival, but Universal moved the 2019 fest to February. To make room on the calendar, the Celebration of Harry Potter won’t be held next year. HHN itself has grown the last two years, running for 34 nights in 2017 and 37 nights in 2018 after an extra date was added in October. The park even took the unprecedented step this year of keeping a haunted house open for day guests after the event closed. It also wouldn’t be the first time Universal has leaked information about events and attractions on its website. In June, a post about its then-unannounced nighttime show, Universal’s Cinematic Celebration, briefly appeared on the site before — much like the HHN dates spotted on Saturday — being removed within hours. All of these factors suggest HHN will indeed be expanded for 2019. Disney World, after all, has begun hosting Mickey’s Not-So-Scary Halloween Party in mid-August at the Magic Kingdom. If Universal’s leaked dates turn out to be correct, however, HHN would be adding only one extra weekend. 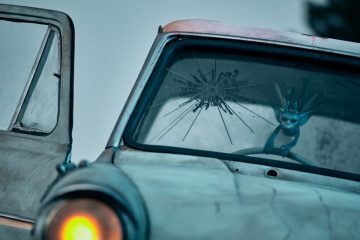 This would still make the 2019 event the longest ever, but without reaching Disney-like proportions. 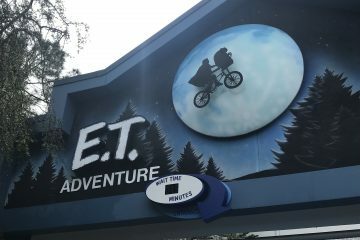 Universal Orlando has been especially tight-lipped about its theme park plans in 2019. 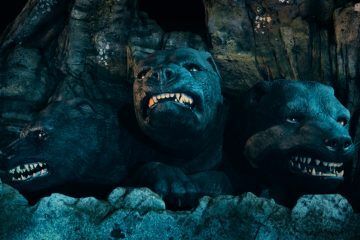 No opening date has been set for the “Harry Potter”-themed roller coaster being built at Islands of Adventure and no announcement has been made on exactly what will be replacing Terminator 2:3D in Universal Studios Florida.